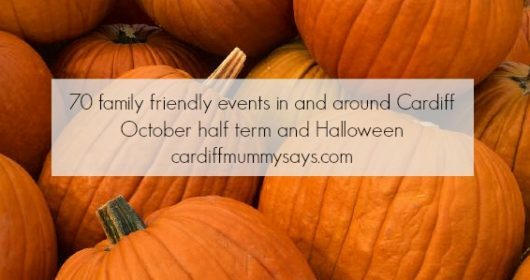 One of the reasons I started Cardiff Mummy Says was because I kept on hearing about events after they had happened and often found myself left disappointed at missing out on something I knew my children would have loved. 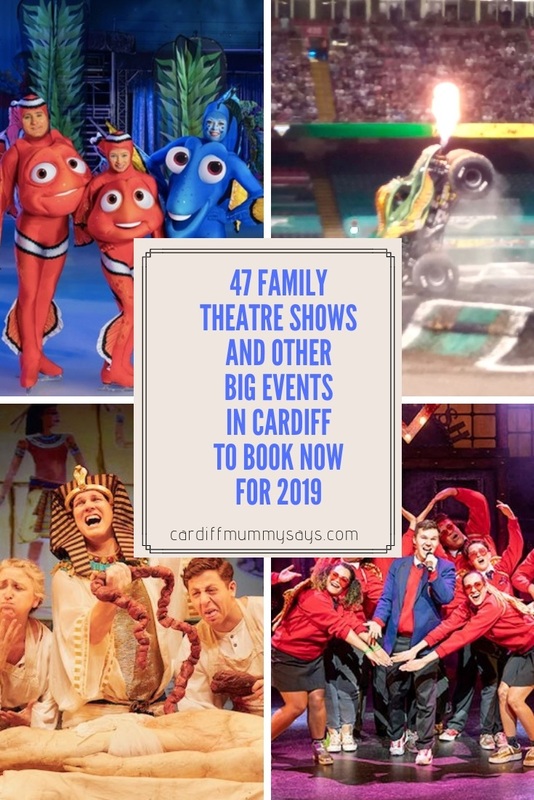 With that in mind here’s 47 family theatre shows and other big family events taking place in 2019. Some of them are already selling out fast (in particular those at the Motorpoint Arena) – time to get organised! Will you be going to any of these events? 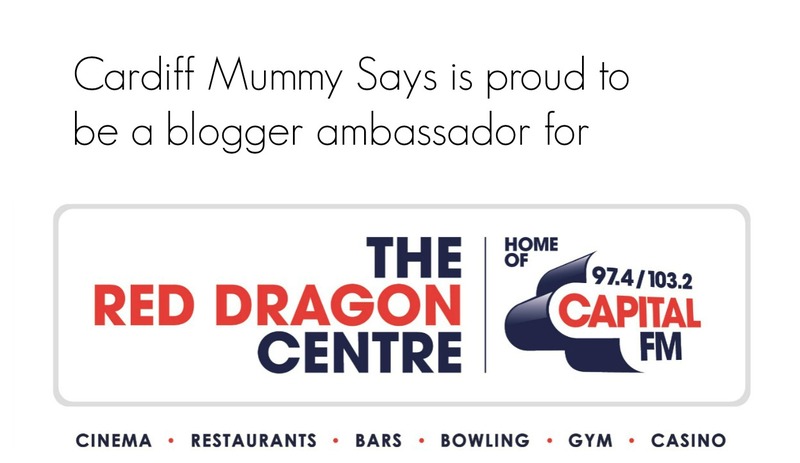 Let me know in the comments below, on the Cardiff Mummy Says Facebook page, tweet me on @cardiffmummy or head to the Cardiff Mummy Says Instagram page. The ballroom couple most famous from Strictly Come Dancing present a new, show-stopping dance production. The world of ballroom meets musical theatre with stunning costumes and breath-taking choreography set to iconic theatrical favourites from shows including The Phantom of the Opera, Mary Poppins, 42nd Street, Hairspray, Cabaret, Wicked, Top Hat, Jersey Boys and more. Some of the show’s favourite contestants are on the road for the X Factor Live experience with the audience deciding each night who their winner is. Laughs galore in a fun lunchtime show for all the family. The show is around two hours including two intervals with ticket only or ticket and food options. Age guidance 7+. Dad says he doesn’t want any fuss at all for his birthday so Mum and their two children take him at his word and they do nothing. But, when Dad’s disappointment and fury combine with Cadi the cat’s mischievous power, hilarious chaos ensues. This show from Theatr Iolo is suitable for Welsh speaking families and Welsh learner families of all levels. 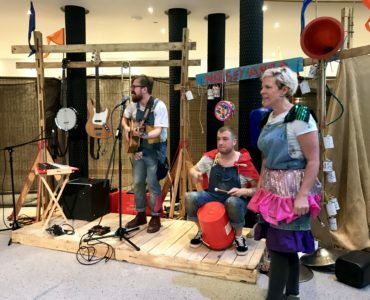 Come along before the show and enjoy some pre-performance family activities designed to help Welsh learners of all ages. 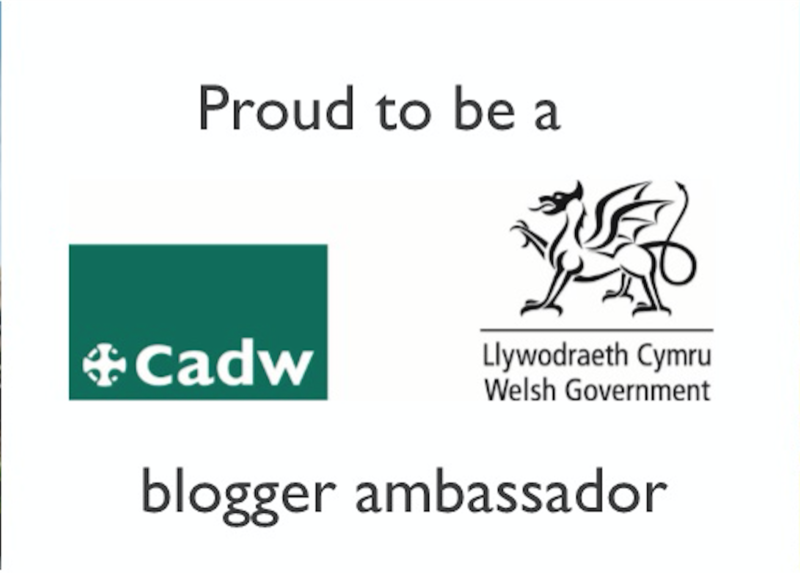 Free packs are available to help Welsh learners enjoy the show. When factory worker Len Spud invents a new loo roll “Bum Fresh – wet on one side, dry on the other” it’s an instant hit. Len, and his son Joe, become overnight billionaires, turning their lives upside down. However while Mr Spud spends on fast cars, 100-inch TVs, and lavish gifts for his glamorous new girlfriend, Joe is left to fend for himself and has to navigate an assault course of school bullies and dangerously inedible canteen food. Based on the bestselling novel by David Walliams. Based on the much-loved picture book, this stage production from New Perspectives joins the residents of the quiet village of Itching Down on a hot summer’s day as four million wasps invade. The picnickers panic and the farmer stops haymaking. The wasps are noisy, nasty and worst of all, they don’t mind who they sting! That is until the baker has an ingenious idea… Join the villagers in their giant sandwich-making plan to defeat the wasps and help save the day. Taking audiences to the edge of our current understanding about the origin and evolution of our solar system and the universe, Professor Cox makes challenging ideas accessible to all, exploring the vast, possibly infinite universe and our place within it from earth to the edges of the cosmos. Using state of the art graphics and imagery from ground-based telescopes and space probes, presented using ultra-high-resolution LED screen technology, Brian will explore the latest missions to the planets, the nature of space and time from the Big Bang to black holes and the origin and fate of life and intelligence in the Universe. He will also address questions about the value of science, how we acquire scientific knowledge and why we should trust it. A weekend featuring favourite stars from TV, film and comics as well as a host of fun activities including photo shoots with the stars, panels, autograph sessions, retro video gaming, cosplay masquerade and hundreds of stalls full of TV and film memorabilia. Stars confirmed include Robert Englund who plays the iconic bad guy “Freddy Kruger; Colin Baker who played the role of “The Doctor” in Doctor Who and Mark Williams of Harry Potter fame. Two amazing shows with Horrible Histories live on stage bringing to life historical figures and events with a focus on the gruesome bits with a combination of actors and 3D effects. Terrible Tudors focuses on the horrible Henries to the end of evil Elizabeth. Find out the fate of Henry’s headless wives and survive the Spanish Armada as it sets sail into the audience. Awful Egyptians charts foul facts of death and decay from the meanest mummies in Egypt from the fascinating Pharaohs to the power of the pyramids. Following the incredible success of the BAFTA award-winning BBC One television series Blue Planet II, presented by Sir David Attenborough, BBC Studios, and FKP Scorpio bring the wonders and mysteries of the planet’s oceans and wildlife to Cardiff. Blue Planet II – Live In Concert – will present a selection of stunning visuals from the television series, highlighting the incredible natural wonders of our blue planet in breath-taking detail, projected on a state of the art 200 square metre 4K Ultra HD LED screen. Accompanied by the original immersive music score by Bleeding Fingers Music, composed by Hans Zimmer, Jacob Shea and David Fleming, the concert will be performed live by the City of Prague Philharmonic Orchestra, and conducted by Matthew Freeman. A fantastical journey from icy polar seas to pulsating coral reefs, from the luminous deep sea to enormous kelp forests: immerse yourself with Blue Planet II – Live In Concert, a simply breath-taking and epic show that you will never forget. Take a journey into classical music with BBC National Orchestra of Wales’ ever-popular family concert. Audiences can discover the incredible sounds of the orchestra through music from the big screen alongside popular classics. The seventh annual Cardiff Children’s Literature Festival includes 40 ticketed events, free craft sessions and an extensive programme of school events running across iconic venues across the city centre including Cardiff Castle, City Hall, National Museum Wales and The Old Library. 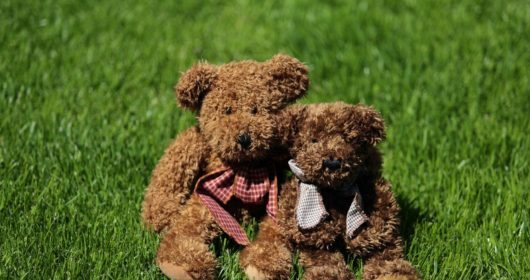 Aimed predominantly at children ages 3-11, festival events include writing workshops, book readings, craft activities, quizzes and games and the occasional appearance of a character or two. See the website for a full list of sessions. A family rave where kids and grownups can hit the dance floor together. 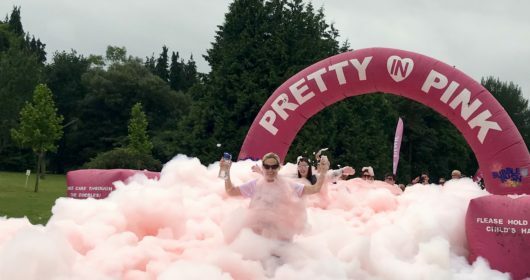 As well as music from top UK DJs, family fun includes face painting, UV lights, bubbles, balloons, confetti and giant parachutes in a rave style atmosphere. Acclaimed choreographer Mark Morris returns to Cardiff with Pepperland, a unique tribute to The Beatles’ Sgt. Pepper’s Lonely Hearts Club Band. Featuring an original score by Ethan Iverson, performed by a live chamber music ensemble, the show elaborates on Sgt. Pepper’s non-rock and roll influences. Arrangements of songs including With a Little Help From My Friends, When I’m Sixty-Four and Penny Lane, are interspersed with six Pepper-inspired original pieces intended especially to complement Mark Morris’ profound understanding of classical forms: Allegro, Scherzo, Adagio, and the blues. Join Rapunzel, her mam, and her new friend Daf in the forest as they set off on an adventure, for which they’ll need your help. This family show re-imagines the story of Rapunzel for modern times. A screening of the famous musical film with plenty of audience participation. A live host will teach everyone a unique set of dance moves, show you how to use our interactive prop bags, and also get you to practice your cheers, your boos and even a few wolf whistles. Fancy dress is strongly encouraged and full audience participation essential. Please note this is a screening of the movie, not a live stage show. Touring the UK for the first time, this show is the history of Britain with all the gory bits left in. Be reduced to rubble by the ruthless Romans. Mount a mutiny against King Henry VIII. See Mary Tudor knock the spots off Mary Queen of Scots. Help Georgian detectives find the headless man, plus lots more. Taking Flight Theatre tackle children’s emotions and mental health in this tale of one child’s journey to come to terms with their dragons – the bad dreams, swirly tummy, feeling prickly that sometimes makes you feel alone. The show features live, original music, in a highly visual, sensitive production that is a humorous and touching exploration of the dragons we all face. A fun and interactive show guiding youngsters through the seasons. Percy and April will get the young audience settled on comfortable cushions and introduce them to Birdy, still hiding in his glowing egg. You will have to wait until Spring if you want to see him in this hands-on journey through the year. Run through the rain and the falling leaves and sleep under the snow until the sun wakes you up for the butterfly party. 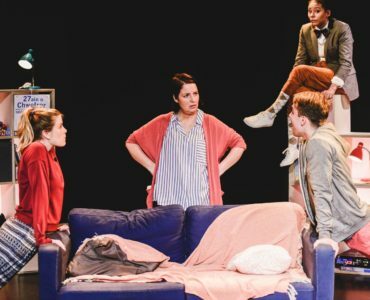 An award-winning musical multi-sensory adventure based on the storybook by renowned parenting and trauma expert, Jane Evans in which Little Meerkat finds out how to manage through some very big feelings. It’s Little Meerkat’s first day on Lookout Duty. However, he finds it overwhelming and falls asleep. When he wakes, all his meerkat friends and family are gone and he panics. Can a Kind Elephant and Wise Monkey help him feel calmer and find those missing meerkats? Based on the best-selling books by Liz Pichon, this new story comes to the stage for the first time. Tom’s doing everything possible to stay out of trouble but somehow he’s got three sad faces on the school achievement chart. And getting another sad face means Mr Fullerman won’t let him go on the school trip. Moany Marcus Meldrew is making things worse and now Tom’s annoyed his grumpy sister Delia. Even Amy Porter (who’s smart) won’t talk to him! Can his best friend Derek help? Will Rooster the dog stop eating his homework? Will his grandparents the Fossils ever make something he can actually eat? Mickey and Minnie Mouse present an inspiring celebration of magic and family fun as some classic Disney animations are brought to the ice. Embark on an ocean adventure as Dory, Nemo and Marlin from Disney Pixar’s Finding Dory discover the real meaning of family. Travel to Arendelle with Anna, Elsa and the hilarious Olaf from Disney’s Frozen as they learn true love is the greatest power of all. Nothing is out of reach for Rapunzel as her friends help light the way. Snow White and the Seven Dwarfs make their own magic and reveal we can do anything with our friends in tow. Toystory’s Buzz and Woody will have you jumping out of your seat in a foot-stomping throwdown; Simba, Timon and Pumbaa prowl the Pridelands in The Lion King; Jasmine, Aladdin and Genie show friendship is fearless; and your favourite Disney Princesses stay strong and journey on. Zog the dragon is eager to win a golden star at Madam Dragon’s school, where dragons learn all the things that dragons need to know. Zog tries so very hard, perhaps too hard, and he bumps, burns and roars his way through years one, two and three. Luckily, the plucky Princess Pearl patches him up ready to face his biggest challenge yet… a duel with Gadabout the Great. Based on Julia Donaldson and Axel Scheffler’s much-loved picture book this magical adaptation features live musicians and a set which looks like it’s come straight from the book. Milkshake Monkey can’t wait to put on a spectacular new musical – but when stage fright hits, his favourite Milkshake friends come to help. Suitable for ages 8 and under be part of the production as you learn songs and dances with favourite Milkshake friends, and watch as the music, lights, costumes and stage come together. 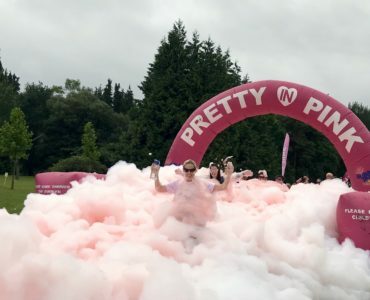 The show features Fireman Sam, Noddy, Shimmer & Shine, Digby Dragon, Wissper, Nella the Princess Knight and the Floogals, alongside two Milkshake Presenters. Seen by around 26 million people worldwide, Joseph was the first of Andrew Lloyd Webber and Tim Rice’s musicals to be performed publicly. Retelling the Biblical story of Joseph, his eleven brothers and the coat of many colours, it is full of unforgettable songs including Go, Go, Go Joseph, Any Dream Will Do, Jacob and Sons, Close Every Door To Me and more. A chance to see some of the biggest WWE Superstars in an action packed entertaining experience. WWE LIVE is unique blend of sport and entertainment, combining in-ring match action with dramatic entertainment. Bursting with all the drama and energy of a rock concert, in a fun, lively and exciting environment, WWE Live is the ultimate in family entertainment. 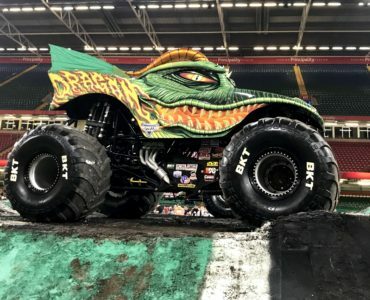 The world-famous trucks are coming back to Cardiff with an afternoon of adrenaline-charged family entertainment. Monster Jam trucks stand 12-feet tall and 10-feet wide, with 66-inch-tall tyres and weighing a minimum of 12,000 pounds. Capable of speeds of up to 70 miles per hour they can fly up to 125 to 130 feet in distance and up to 35 feet in the air. The pre-show Pit Party allows fans to meet their favourite drivers, get up close to the Monster Jam trucks and participate in activities including autograph signings and much more. Cardiff’s amateur company Orbit present the magical fairytale adventure based on the Oscar-winning DreamWorks Animation film. Shrek The Musical brings all the beloved characters you know from the film to life on stage as unlikely hero ogre Shrek finds himself on a life-changing journey alongside a wisecracking Donkey and a feisty princess who resists her rescue. Join the famous dynamic duo as Wallace prepares to perform his musical masterpiece My Concerto in Eee Lad with help from his faithful canine companion Gromit… what could possibly go wrong?! This interactive experience features specially created animations as well as live orchestral accompaniment and escapades from the Picture House Orchestra and presenter Matthew Sharp. The show will be followed by a screening of the Academy Award®-winning Wallace & Gromit: The Wrong Trousers with the soundtrack performed by the orchestra live on stage. Ticket holders can also book onto a Gromit Modelling Workshop at 12pm, 3pm and 4pm priced £10 per person. Join the BAFTA award-winning television animation live on stage as Ben Holly and their friends embark on an exciting, enchanting and magical musical adventure packed full of games, songs and laughter. This beautiful story of elves, princesses and childhood innocence sees Ben and Holly having fun and games helping Gaston the Ladybird clean up his messy cave, they go on a trip into The Big World with tooth-fairy Nanny Plum, even plan a surprise birthday party for King Thistle, and oops, let’s hope there’s not another jelly flood! Based on the smash-hit DreamWorks animated motion picture, Madagascar The Musical follows a group of animals as they escape from their home in New York’s Central Park Zoo, and find themselves on an unexpected journey to the madcap world of King Julien’s Madagascar. Join Alex the Lion, Marty the Zebra, Melman the Giraffe, Gloria the hip hip Hippo and those hilarious, plotting penguins as they bound onto the stage in this musical adventure. English Youth Ballet new production of Swan Lake is a traditional production with emphasis on the rivalry between the seductive evil Black Swan Odile and the beautiful but vulnerable White Swan Odette, as they compete for the affections of the Prince. English Youth Ballet’s professional principal dancers lead the pageantry of a large cast of up to 100 young talented regional dancers in this highly acclaimed Company. Direct from the West End, Annie returns to Cardiff with its Tony® award-winning book and score, including the unforgettable songs It’s The Hard-Knock Life, Easy Street, I Don’t Need Anything But You and Tomorrow. Set in 1930s New York during The Great Depression, brave young Annie is forced to live a life of misery at Miss Hannigan’s orphanage. Her luck soon changes when she’s chosen to spend a fairytale Christmas with famous billionaire, Oliver Warbucks. Meanwhile, spiteful Miss Hannigan has other ideas and hatches a plan to spoil Annie’s search for her true family. Based on the beloved book by Julia Donaldson and Axel Scheffler this is a heart-warming tale of friendship and loyalty. Tabby McTat is a cat with the loudest of mews who befriends a busker with a guitar. Together they sing their favourite songs delighting the crowds, until one day Fred disappears. Separated and alone, Tabby finds shelter and a new life with all the home comforts that any cat could dream of. However, memories of his life with Fred haunt him, and he sets off to search the streets for his long-lost friend. Fast furious family entertainment as the 500cc engine Speedway bikes race around the stadium. Fans will be hoping of a repeat of the drama that unfolded during the 2018 event where crowd favourite Tai Woffinden had to settle for the runners-up spot after Polish star Bartosz Zmarzlik blitzed the field with breath-taking speed and skill. 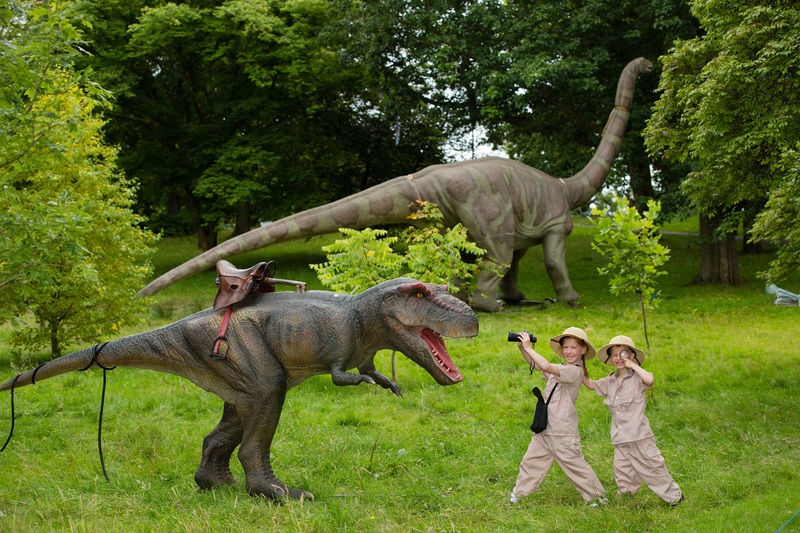 After the success of previous sleepover events, the dinosaurs are back by popular demand. Discover what goes on after dark in an action packed night at the museum. 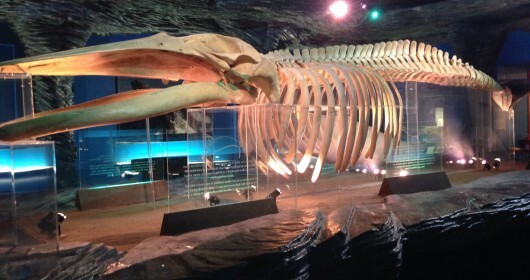 Take a torch lit tour to explore Wales as it was 200 million years ago. Meet some friendly dinosaurs and watch their eggs hatch in a Dino-show to remember. Get creative in our craft workshops – you’ll be inspired by fossils, footprints and bones from the Museum’s collection. Enjoy a snack box and hot chocolate. Settle down for a film before bed in the grand theatre – then camp under the dome to dream of ancient lands filled with fabulous beasts. Wake up bright and early for breakfast together before you head back to life in the 21st century. A 10 year anniversary tour of the dance troupe who took the nation by storm when they won the third series of Britain’s Got Talent. Created by Ashley Banjo, the show looks back at some of the iconic Diversity moments over the past 10 years. Be prepared for dance, illusions, mind blowing stunts and inspiring stories. London Concert Orchestra present an afternoon of favourite from the iconic film scores of John Williams including music from ET, Harry Potter, Jaws, Star Wars, Superman, Hook, Jurassic Park, Schindler’s List, Indiana Jones and Close Encounters. Now in its 10th year and having been seen by more than one million people, In The Night Garden Live brings a new show to Cardiff – Igglepiggle’s Busy Day. Join Igglepiggle as he looks for his friends in the Night Garden by following their funny sounds until he finds them all. All your favourite characters are brought to life with full-size costumes, magical puppets, and enchanting music in a show that lasts just under an hour. A fresh young cast bring energy, vitality and passion to this ultimate musical classic with a phenomenal score, bursting with hits including Summer Nights, Greased Lightnin’, Hopelessly Devoted to You and You’re the One That I Want. The much-loved musical tells the story of leather-clad greaser Danny and girl-next-door Sandy who following a summer romance are unexpectedly reunited when she transfers to Rydell High. Can they survive the trials and tribulations of teenage life and find true love once more? Perfect for children aged 3 to 6 and their families The Ugly Duckling will be the Sherman’s show for younger children and their families. More information to follow. Based on the much-loved film, this feel-good musical features the children of St Bernadette’s School and their attempts to stage a musical version of the nativity. The only trouble is that teacher Mr Maddens has promised a Hollywood producer is coming to see the show to turn it into a film. Join him, his teaching assistant the crazy Mr Poppy, hilarious children and a whole lot of sparkle and shine as they struggle to make everyone’s Christmas wish come true. The stage show features favourite musical numbers from the film including Sparkle and Shine, Nazareth, One Night One Moment, She’s the Brightest Star as well as a whole host of new songs. Aimed at children age 7+ and their families, The Snow Queen will be the Sherman’s Christmas production for older children. More information to follow. Perfect for children aged 3 to 6 and their families, The Ugly Duckling will be the Sherman’s show for younger children and their families. More information to follow. 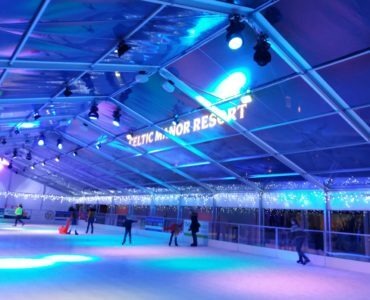 A new adaptation of Dickens’s famous A Christmas Carol will feature a cast of 120 performers including a gospel choir, cirque artistes, live horses, 3D ghosts, a flying four poster bed, dazzling songs, music and dance, and a plenty of comedy. The miserable miser Ebenezer Scrooge is taught the error of his ways, transformed from skinflint to saviour, bringing joy to the Cratchit family and their son, Tiny Tim. Cinderella will feature star casting, laugh-out-loud comedy, jaw-dropping special effects, stunning song and dance and plenty of boos and hisses as the classic fairy tale is is brought magically to life panto-style. More details to follow.